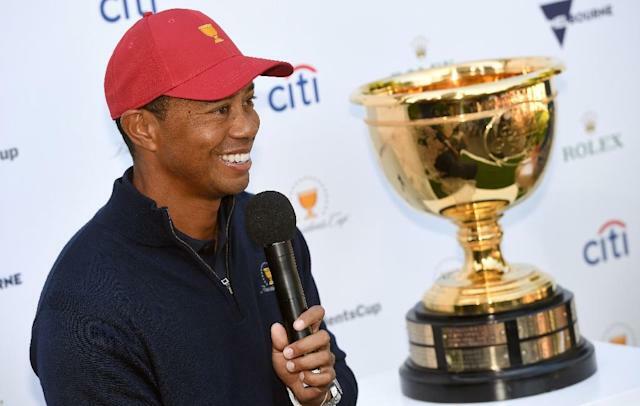 Melbourne (AFP) - First-time US Presidents Cup captain Tiger Woods on Wednesday named the experienced Fred Couples, Steve Stricker and Zach Johnson as three of his assistants for the showdown against the International team in Melbourne later this year. "I'm thrilled he's chosen to trust me with this important role, and I look forward to doing my part to help the team succeed." He could be a contender for one of Wood's four captain's player picks if he does not automatically qualify in the top eight determined by FedEx Cup points. The Royal Melbourne Golf Club venue is a much-lauded classic Sand Belt course that demands strategic golf but is often considered too short for today's big hitters, and that could suit the accurate Johnson who is one of the shortest hitters from the tee on the US PGA Tour. Stricker brings his own pedigree to the team that will face the Internationals led by South Africa's Ernie Els, and has a bond with Woods having been his teammate at four previous Presidents Cups.